Mobsters, say what you will about them, murderers, criminals, thieves, cold blooded bastards but they lived in the real world and there is a much we can learn from them. New York City, 1934. Popular violinist David Rubinoff enters a nice restaurant for dinner. Now you might ask, what can be wrong with that? There was a lot wrong. When you owe money, you do not go out for dinner. First you pay your debts. Now Rubinoff was a great violinist and he was known for this Stradivarius violin, it was worth $100,000 in the 1930s. If someone owes you money and you see them out for dinner, well it is downright frustrating and insulting. If you have enough money for dinner start paying off your debts, even if it is $50 per month, Pay something! Show that you are making an effort. But most of us, when we are owed money, can do nothing but sulk, after all, what can we do? How many times can you ask? But Rubinoff, you see he borrowed money from someone you could not take advantage of, and that someone just happened to be in the restaurant that night. He was none other than Tommy "Three Finger" Lucchese. If you do not recognize the name, well...you should study some history. 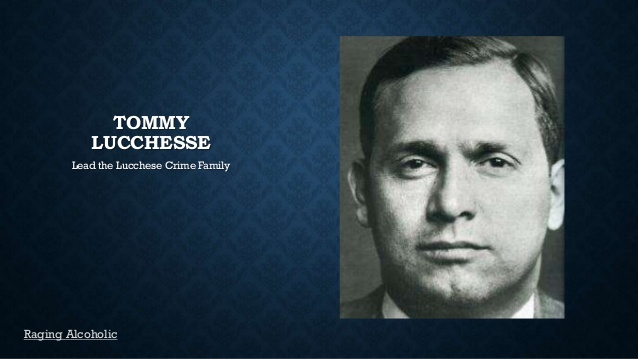 Tommy Lucchese was a mob boss, he lost a thumb and a finger doing legitimate work, he stood 5 foot 2, weighed 105 pounds, but he would beat you to a pulp without any hesitation. He also had no issues with killing a man. You don't dishonor such a man by neglecting to pay a debt. The truth is you should not dishonor anyone by neglecting your debt but most of us will not beat you up for it, but we should. Rubinoff noticed his fellow diner and turned pale white. Lucchese invited Rubinoff over to his table. Rubinoff had a reason to be scared. He owed a lot of money. You do not go out for dinner when you owe another man money. It is dishonorable. The Jewish Russian born musician was in trouble. Rubinoff explained that he was having money problems and would pay Lucchese back: it was the wrong answer. How often do I hear that lame excuse? A man pays back his debt or he eats dirt. Sadly we all put up with this crap but Lucchese was not the type of man you messed with. Lucchese casually reached for Rubinoff's hands, what a shame it would be if anything happened to those hands. Lucchese said lets' discuss this outside in the back ally. Rubinoff promised he would have the money the next day, Lucchese responded quietly, OK, that is good. Rubinoff paid the debt in full the next morning. He lived a happy and long life. When he had to, he was able to come up with the money. But why did it take such threats of violence to do the right thing? Why do us ordinary people have to put up with these stories, these tales of woe? If you owe money - pay it back, like a man! I recall Itay Gil telling me that while he was paying off his mortgage he did not buy a new T shirt. I am the same way. I eat the cheapest food and drank only water until I paid off my loans. So why do I have to see pictures of people on Facebook living it up while they "explain" to me that they are "having financial difficulties"? I do not look up to gangsters or the mob but there are some things we can learn from them. All our actions have consequences. If you let people get away with too much they will step all over you. This is the harsh reality.